Luxe.Co Exclusive Interview with Michael Beutler, Sustainability Operations Director of Kering Group | Why Should Luxury Brands Be Sustainable? Sustainability, the growing movement is changing the fashion industry gradually. Many brands have noticed this critical change and participated in this movement. Marco Bizzarri, CEO of Italian luxury brand Gucci, recently shocked the fashion world when he announced that Gucci would no longer use animal fur. As Gucci’s parent company, Kering Group has been the pioneer of sustainable development of the luxury industry. 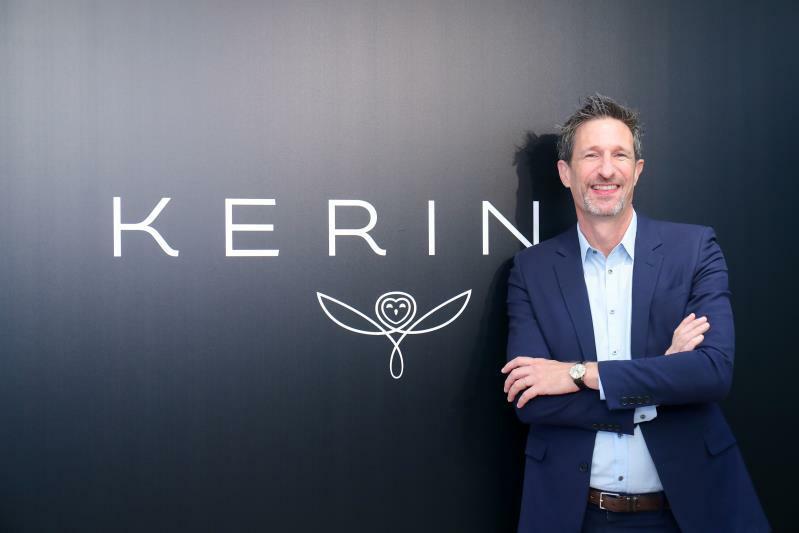 Luxe.Co had an exclusive interview with Michael Beutler, Sustainability Operations Director of Kering Group. He shared his insights on the sustainable development of fashion brands. In Luxe.Co’s China Fashion Consumer Survey 2017, 28.7% consumers chose “social responsibility” as the reason why they favor a fashion brand. François-Henri Pinault, Chairman and CEO of Kering Group, said that sustainable development is not only an inevitable choice for all business leaders, but also a business opportunity to ensure the company’s long-term business development. In recent years, Kering Group has been paying great attention to environmental protection and social responsibility. Its sustainability strategy has also gained great support from its major brands. Gucci and Bottega Veneta developed a metal-free leather tanning process. Saint Laurent introduced a new store concept, to increase the store energy efficiency by 37% from 2012 to 2015. In December last year, Kering gained the certification of Science Based Target, and became the first luxury company to promise a sustainable development by reducing carbon emission. In April 2017, Kering teamed up with the innovation platform Plug and Play and launched a startup accelerator “Plug and Play – Fashion for Good”. The companies involved in the accelerator project are mainly in three areas: raw material acquisition, fabric production (dyeing, textiles, etc.) and production waste processing (recycling and etc.). Kering will provide training guidance for these startups. In September 2017, Kering was awarded for the third time as the Dow Jones Global Sustainability Index (DJSI World) industry leader in the “Textile, Apparel and Luxury” sector. Its British designer brand Stella McCartney has always insisted on not using animal leather or fur. The flagship brand Gucci has also announced that it would no longer use animal fur. Luxe.Co: What is the connection between the founding family of Kering Group and sustainable development? Beutler: I joined Kering Group six years ago. Our CEO has a deep commitment to sustainable development. He promised to make sustainable development a core business, and determined to transform Kering into a sustainable fashion group. He believes that sustainable development can be integrated into the luxury fashion industry. Therefore, Kering established the 2025 Sustainable Development Strategy based on company vision. The 2025 strategy covers 3 key aspects, environment, people and innovation. It sets targets for a 40% reduction in the environmental, 100 % traceability of raw materials and setting out the highest standards in the industry for our sourcing. At the same time, we have established an Environmental Profit and Loss Statement (EP&L), a material innovation laboratory, and a sustainability-related network. We hope to go further and have more innovations in the future. The chairman showed his great commitment to sustainable development. Also because of his encouragement, more people are actively involved in this process. Luxe.Co: Why do you think sustainable development is important for both luxury brands and emerging brands? Beutler: Sustainability development is not a choice, but a necessary action. In this way, we can preserve the best and highest quality raw materials in the world, such as cashmere, silk, exquisite craftsmanship, and some long-standing skills. When we talk about sustainable development, we are not only talking about the raw materials that we can get, but also the craftsmanship behind the products. Sustainability is a matter not only for companies and designers, but also for consumers. In the future, more people will be aware of environmental protection and sustainable development. What’s more, sustainability can drive business innovation. We need to preserve some traditional, exquisite and historical handicrafts. Meanwhile, we also need to understand our consumers to meet their expectations. For emerging brands and designers, they have a natural advantage because they can immediately put these sustainability ideas into branding actions.They not only need to make beautiful products, but also to reflect on brand stories, and social responsibilities. Luxe.Co: What do you think of the sustainable development of China’s fashion industry? Beutler: I think China has already demonstrated its leadership regarding to climate change. When it comes to sustainable development, from the perspectives of efficiency, quality, and innovation, I think we still have a long way to go. We can start from here and do better with innovative thinking. Luxe.Co: Sustainable development in China has attracted more and more attention. When Kering talks about sustainable development in China, what results do you expect to achieve? Beutler: In China, through cooperation with all parties, sustainable development can be pushed to new heights. We have a project called “Clean by Design”, including energy saving and water saving. We use raw materials like cashmere and silk to make sustainability more in-depth. At the same time, we also work with professional academic institutions including Tsinghua University. In the future, we will look for new cooperation opportunities, for example, collaborating with luxury innovation laboratories. China also has numerous innovative practices, which can help us gain many fresh ideas and insights. The EP&L is actually a new perspective to help us better practice sustainable development. Luxe.Co: What are the three most important keywords for China’s sustainable development? Beutler: First of all, it is very important for us to understand China’s perspective. China can be a leader in this field. It has undergone many changes in sustainable development. We see more and more new ideas, and we hope to participate in this process and cultivate a more sustainable solution. Speaking of the three keywords, I think they are: collaboration, conductivity, and craftsmanship. Conductivity is a little different from cooperation. It refers to how to achieve synergy through innovation. Craftsmanship refers to the preservation of craftsmanship with a certain history. During Shanghai Fashion Week, Kering Group held an “Innovative Luxury Lab” to promote the Group’s self-developed tool “Energy Profit and Loss Statement (EP&L)”, and officially launched “My EP&L” WeChat mini program in Chinese version. As an integral part of Kering’s sustainable strategy launched in 2016, “My EP&L” application enables consumers to understand how the production of certain clothes, bags or accessories can damage the environment in monetary measurement. Take a handbag as an example. Consumers need to choose the main material, hardware material, the source of raw materials, and the place of production. The system will calculate the damage to the environment, such as air pollution (RMB4), carbon emissions (RMB36), and water pollution (RMB20). The entire calculation covers the environmental impact of the entire supply chain from raw materials, procurement, manufacturing to sales. Indicators of measurement include air pollution, waste, carbon emissions, water use, land use, and water pollution. “We look forward to helping designers around the world consider sustainability from the start of design through a practical application,” said Beutler.